It is extremely important to keep your workplace clean. This is always the case, whether you run an office, a factory or a school. Cleanliness and good hygiene can help to improve the workplace for visitors and employees. Certain standards of cleanliness are actually a legal requirement in many commercial spaces. However, different types of cleaners are available for professional commercial cleaning, namely in-house cleaners or external contracted cleaners. In this aticle we will look at the pros and cons of each. If you have in-house cleaners, you will have the maximum amount of flexibility over when these people dothe cleaning work your require. External contractors generally are not able to offer the same level of flexibility. However, if you use an in-house cleaning team, you will need to employ them yourself. This means a lot of paperwork and responsiblity. Although it is common to see in-house cleaners in larger companies, if you have a small office then it is probably better and easier to hire external contractors. 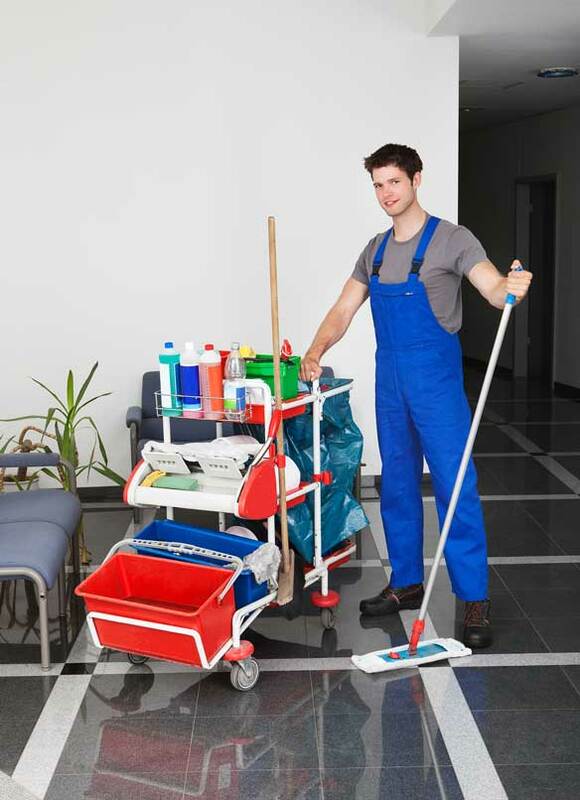 Employing your own cleaners will also mean that you need to train your cleaners. You will also often experience a fast turn-over of staff, as many will leave to find new work. A lot of people do cleaning work as a stop gap, and this is one reason it is hard to find an in-house team that will stay with you for years to come. Externally contracted professional commercial cleaning teams are very heavily invested in the standards of cleaning that they provide. If they do not provide a high enough standard of service, the company can terminate the service contract and the reputation of the external contractor will suffer. An external commercial cleaning company will also shoulder the costs of any expensive cleaning equipment which is requiredbring their own cleaning equipment with them. This will mean that you won’t need to bother replacing cleaning equipment. Industrial strength steam and vacuum cleaners are very expensive, and when you hire external contractors, you will save a lot of money. External commercial cleaning companies have the knowledge and expertise which is required to ensure that everything is cleaned properly. There are cleaning standards laid down by the law, and your professional Bristol cleaning team will stick to these. Another option is to use a mix of internal and external cleaners. You could contract a professional cleaning team to come to your premise once a week, and to clean your windows once a fornight or monthly. You could then use an in-house cleaner to quickly brush and mop at the end of each day, or early in the morning. Be careful however to not give these duties to your staff members; your employees are not there to become your cleaners. There are benefits of both in-house and external commercial cleaners. But, unless you have a very small office, it is generally a good idea to bring in cleaners from outside. This means you are giving the responsiblity of cleaning to a professional team, which in turn will allow you more time to concentrate on the day to day running of your business.